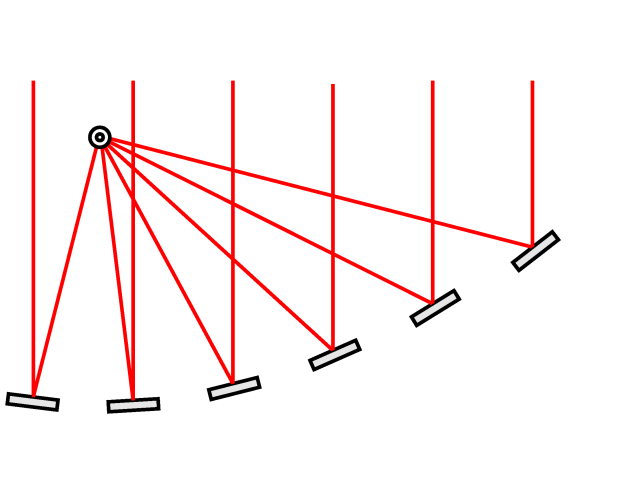 As we saw in the last instalment, adding a reflector increases the received radio signal. And, we can continue to add more reflectors, each at the correct position and angle, to continue increasing the power of the combined radio wave. 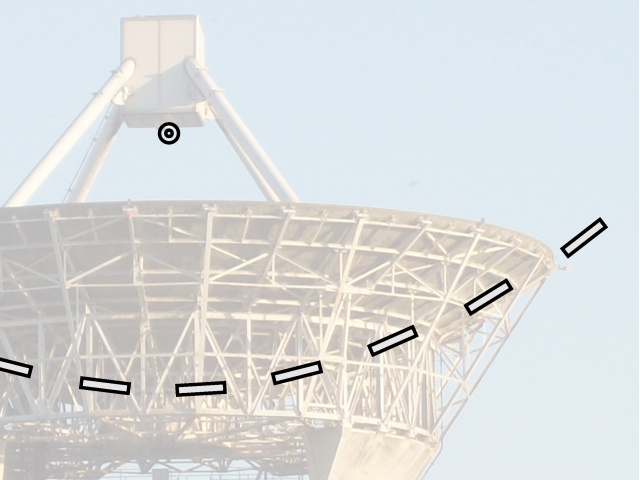 If you do this enough, and imagine it in three dimensions, rather than two, you should understand the basic principle behind the traditional radio dish. 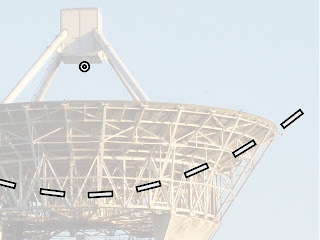 And, finally, for those trying to guess the faded dish photograph behind the last diagram here is view of the same structure, but from a slightly different angle. 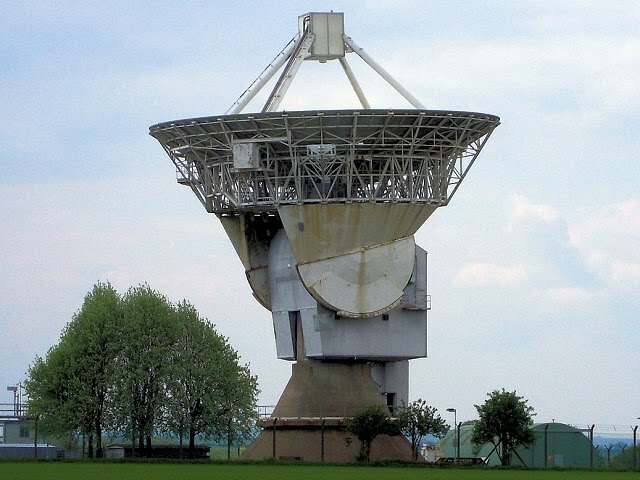 This is the 25m dish at the Chilbolton Observatory in Hampshire, England. 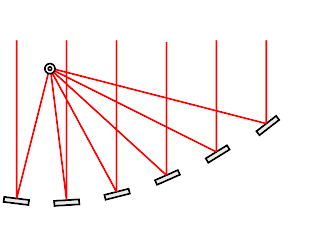 Next week, we’ll be considering directional sensitivity and starting to get down to the gritty detail of phased arrays!